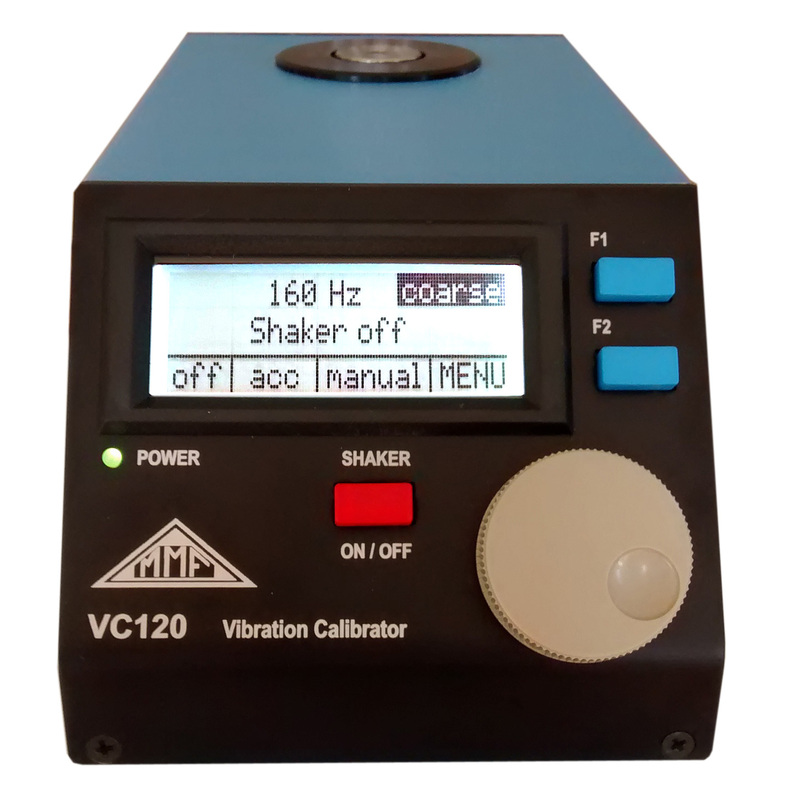 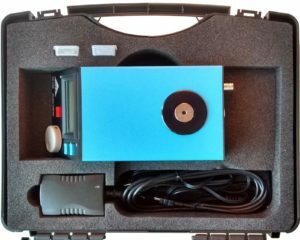 The VC120 from MMF is a vibration calibration system for sensors and instruments in units of acceleration, velocity and displacement. Its adjustable vibration frequency allows verifying transducer sensitivity at individual frequencies according to your sensor application. 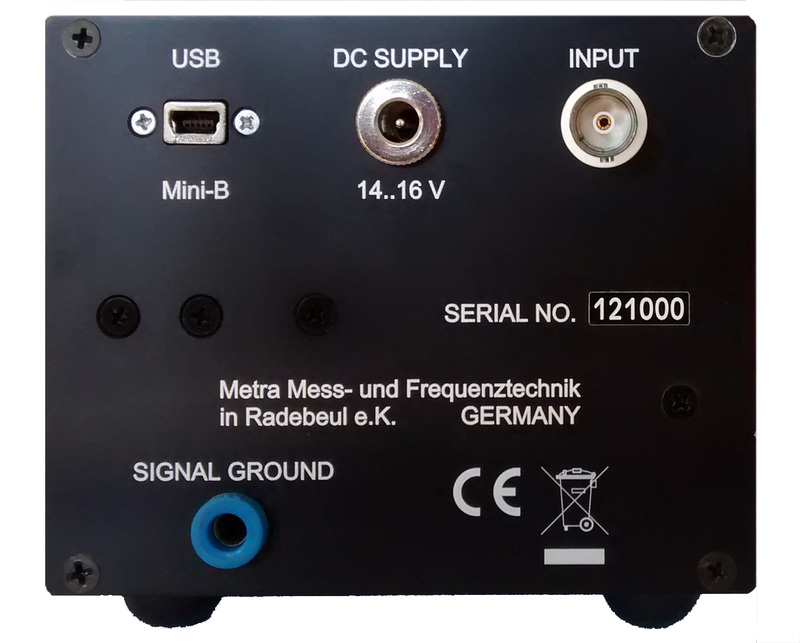 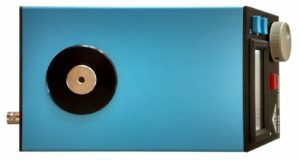 It is suitable for sensors with charge, voltage and IEPE compatible outputs. 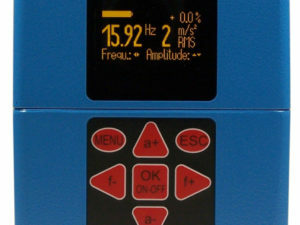 Measurement results with the corresponding units and all important settings are clearly shown on an LCD graphics display. Measured data can also be processed, displayed and stored by the included PC software. 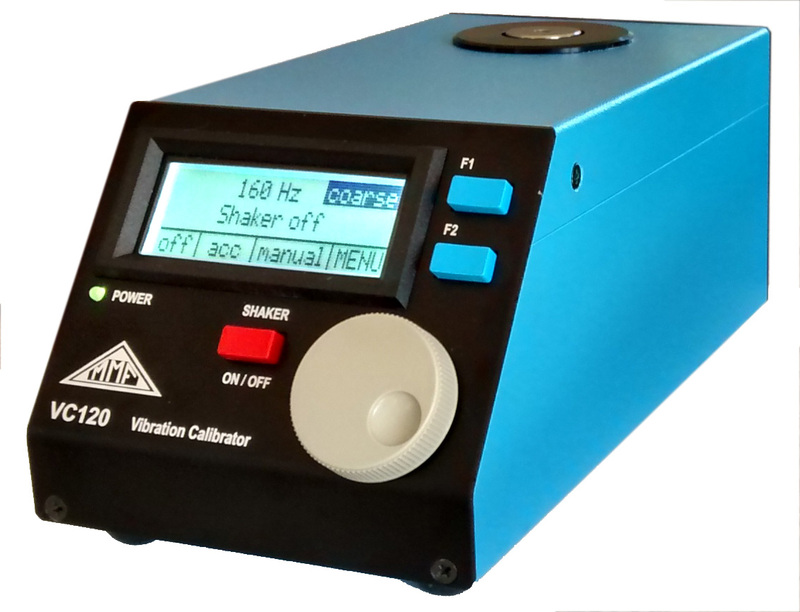 The PC software VC1xxCDB (Calibration Database) is used to control the VC120 and to manage the calibration data in a local data base. With the help of this software it is possible to design calibration templates to automate calibration cycles and to generate calibration reports automatically. 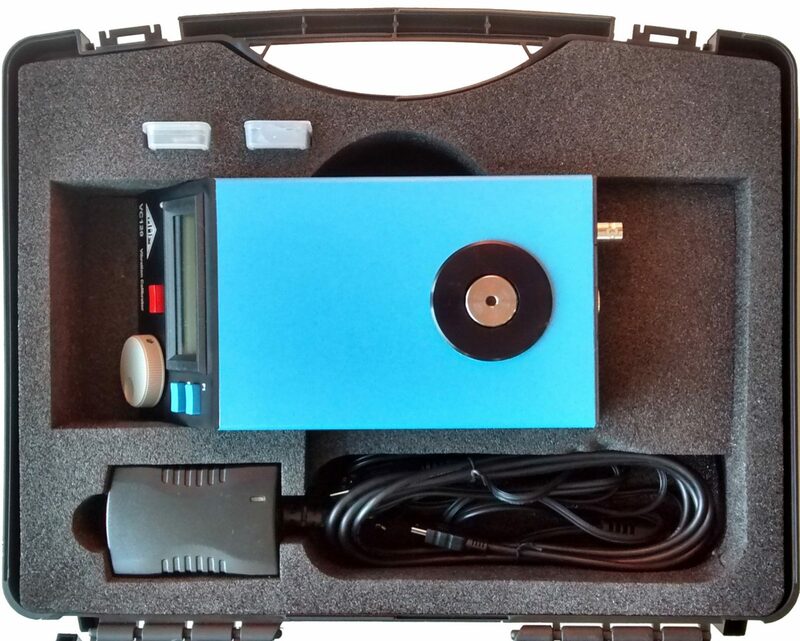 The data base is used to manage the measuring results as well as the specific sensor values and customer data.